Welcome to the Home Plan Video and Photo Gallery. Here you will discover beautiful home photography or house videos that feature stunning images highlighting a specific home, an architectural style, a topic such as green building, or even shed construction. 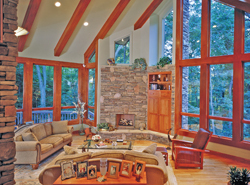 Browse our photography or videos and see these dwellings come alive. Please note – when viewing the gallery, you should always refer to the floor plan of a home design for accurate layout since many homeowners customize the floor plan as they build.